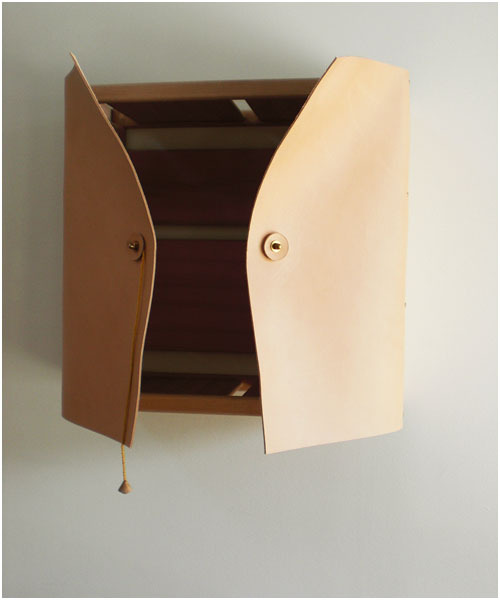 Stockholm-based designer David Ericsson put together this leather cabinet as well as the lamp during his time at the Carl Malmsten Furniture Studies back in 2010, before founding the dmoch design studio. 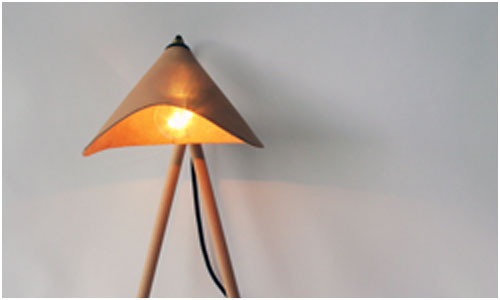 The idea with these pieces is to use local material, including Swedish wood, and vegetable-tanned leather and linen sourced close to Stockholm. 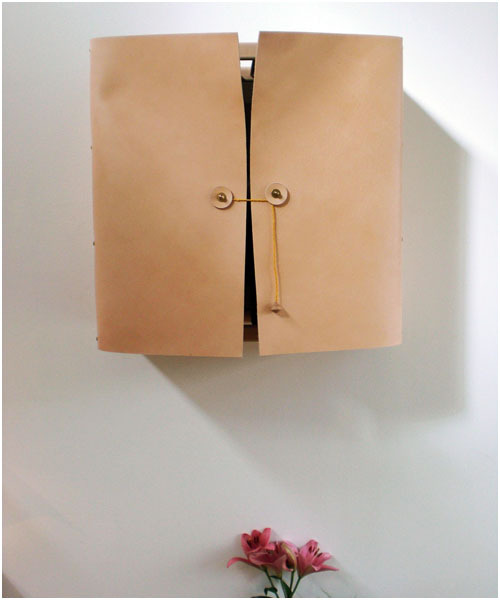 Leather as a material is a favorite of Mr Ericsson’s. These pieces are not in production; however, they may be produced with commission. 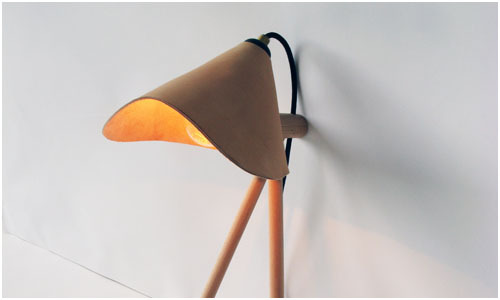 Watch for more of his work this year at Ventura Lambrate during the Salone del Mobile in Milan. Images provided by David Ericsson and used with permission.